This 3 yr old colt has finished 41111 so far, including 4/4 under today's jockey Donnacha O'Brien, 3/4 on the Flat, 2/2 at 1m4f and 2/2 in handicaps. He's won on Good, Soft and A/W too so the ground shouldn't be an issue either. This is a tougher task than he's faced so far but (a) that's why were not facing really short odds and (b) I think he has plenty more in his locker. ...and from the above, there's a nice little micro (or nugget as someone on the Gold forum very kindly described these supplementary angles) whereby in this 2015-18 timeframe, those whose yard run most of their races in Leinster, Ireland and are now racing over 7.5 to 12 furlongs, within 25 days of their last run are 33/129 (25.6% SR) for 133.9pts (+103.8% ROI), including 4 winners from 8 for 33.9pts over the last five weeks! You can blame it all on novichok and Brexit, writes Tony Stafford. But for the political reaction to the first Salisbury poisonings back in the spring of a former Russian spy who years ago sold secrets to the British, and his daughter, many more England supporters would have dared to travel to Russia for the World Cup. It was suggested around 3,000 England fans were in the stadium in Samara on Saturday as they beat Sweden 2-0. By my reckoning, not far short of 3,000 more blocked the traffic going down from Regents Park towards Camden Town at around 5.30 on Saturday afternoon. Luckily I was able to take a right turn and escape with a clean car unlike the Emergency Ambulance, jumped upon and as good as wrecked in Borough High Street, Central London, that evening. As England’s path to a second World Cup win moves ever closer, confusion over Brexit and indeed novichok, following another dual exposure in the Salisbury area late last week, deepens. David Davis, the Brexit Secretary, resigned over the weekend. Governments like to issue bad news when there are other distractions, so Mrs May might well be grateful of the progress in the World Cup by the home country’s footballers. She will probably also be relieved that it was Croatia rather than the hosts that won Saturday’s other quarter-final after a penalty shoot-out in Sochi. Croatia’s female president showed her dancing skills when her team opened the scoring, while Russia’s PM Medvedev looked away. Considering the extreme cool in the Putin – May relations since Salisbury, it might be worth Betfair’s opening a market on whether Theresa will find time to travel to the Final next Saturday should we be there, with so much turmoil around Westminster. My Internet-minded wife did show me one video image late yesterday, on the reaction of the Russian police when one misguided England fan, mirroring the ambulance abuse back home, jumped on a vehicle over there. Within seconds he was hauled off and got an instant “correction” from a policeman’s baton. I played cricket the only time we won the World Cup when probably a good few of Eton Manor’s team preferred to watch the football. On Saturday I was at Sandown for the Coral-Eclipse Stakes which suffered a last-minute absentee when Masar, the Investec Derby winner had to miss the race through a minor setback. Many thought Sheikh Mohammed and his Godolphin entourage might also avoid the engagement, but such is the renewed confidence especially with the Charlie Appleby end of the team, that there was a full contingent to see Hawkbill finish fourth. While not collecting the major prize, Sheikh Mo will have been gratified to see the Derby form upheld, with Roaring Lion, third at Epsom, maintaining his superiority over Saxon Warrior, fourth in the big one, in a tight finish. Had the pair been competing in France or the US then the slightly errant late course of Roaring Lion, which caused Saxon Warrior to be tightened up might well have been reversed. But with the Sandown crowd building up the excitement with those other Lions about to take to the pitch in Samara, the result, a popular one with the favourite winning, was allowed to stand. The four-day ban that Oisin Murphy, 22, received for the move on Donnacha O’Brien, 19, was enough to salve any protests. It has been widely assumed that Donnacha , already the possessor of three Classic wins this year to Ryan Moore’s zero, will not wish or be able to continue riding for much longer. Elder brother Joseph at 25 is already an established top-level trainer a couple of years in after his precipitous retirement, but the incentive for the younger O’Brien to remain in the jockey arena could hardly be more attractive. Well used to reading in the footnotes to ordinary races in Ireland that his mounts would be liable to carrying overweight – 9st was supposed to be his absolute limit – it certainly surprised me that he was allowed to resume his 2,000 Guineas winning partnership with Saxon Warrior. Moore, absent on Kentucky Derby duties with Mendelssohn on that first Saturday in May, was back on the favourite both at Epsom and The Curragh, but again in the US for the very disappointing Mendelssohn at Belmont Park on Saturday night. Luckily Athena – my late mum’s name – picked up just short of 400k when winning the Belmont Oaks, so the trip did have some minor financial recompense for his troubles. Saxon Warrior, along with the other three-year-olds in the Group 1 Coral-Eclipse, had 8st11lb, but when I asked Aidan O’Brien after the race whether Donnacha had “done” the weight, there was a hint of surprise that I’d even asked. He did. As with Lester Piggott in an earlier age, and until recently George Baker, the lofty Donnacha is showing the amazing will-power that jockeys can employ to manage their weight and of course their appetite. My appetite was given a bit of a test in the Coral tent – no doubt the early start, England’s match and above all a blockade on the M25 contributed to a host of non-runners among the guest list– after I got a late call from Matt Yates, to partake of some excellent victuals. Matt was an Olympian 1500-metre runner and if you could believe it actually beat Messrs Coe and Ovett back in the day. He walks pretty quickly too, and his athletic prowess didn’t hurt as he shepherded Coral and Ladbrokes customers from table to bar, and of course to the betting point while Colin Brown (without Desert Orchid) mastered the ceremonies in his usual effortless style. The food was good, the company even better and until attention switched from horse racing to England on the big screen it was all serene. The initial stages of the match were fairly sterile, and the decision was made to drive back with Peter Ashmore and family to St John’s Wood and watch the second half and the inevitable shoot-out after the probable 0-0 draw in comfort and quiet. Harry Maguire’s missile-guided head had already altered calculations by the time we got there and the second goal by Dele Alli offered security. It was left to some excellent saves by Jordan Pickford – “that’s what he’s there for” – to retain the victory margin and disguise the actual superiority. With two games to go, it’s hard to imagine anything other than a win. Champions of the World! Will Mrs May dare to go, though, and sit alongside President Putin at the Final in Moscow? Or even more intriguingly will it be Boris, as Foreign Secretary, or will he have resigned by then, too, in an attempt to unseat the PM and nick the top job for himself amid the inevitable fall-out? When I used occasionally to be in close proximity to Boris (and others of course) going up in the the lift at the old Daily Telegraph building in Fleet Street all those years ago, I’d never have believed where he and all of us would be now. While there may be distractions, the top trainers do not allow themselves to be diverted. On Saturday there were notable multiple wins, not the least impressive being Ian Williams’ four-timer – one at Haydock and three-out-of-three for a 143-1 treble from his only runners at Nottingham. The horseboxes rolled out early from Kingsley House on Saturday morning, no doubt waking the owners in the guest apartments, aiming for six of the seven Flat meetings on the day- avoiding perhaps fortuitously Sandown and those motorway frustrations. Mark Johnston’s sole Nottingham runner finished only fourth, but his other 23 contenders fared far more impressively. I wonder whether expectations were particularly high, as of the 24, only two started favourite and neither Austrian School, runner-up as 4-1 market leader at Haydock or the odds-on Winger Spur also second at Beverley, could quite justify the position. Otherwise it was success everywhere else, with wins at Chelmsford (two), Carlisle, Leicester, Beverley and another double at Haydock. In price order, the winners started at 20-1, 12-1, 8-1, 6-1, 9-2, and 5-2 twice. Johnston had sent out 28 winners in the previous 14 days, so with another at Ayr yesterday, that makes it 36 wins in 16 days. Man in form? He’s almost in the Gareth Southgate class. Aidan O’Brien’s Rhododendron got the better of Lightning Spear to land a thrilling Lockinge Stakes at Newbury. Despite concerns over the drop back in trip, Ballydoyle’s filly proved she had the ‘zip’, holding off David Simcock’s talented miler by a nose. O’Brien had four runners in the field of 14, and three were prominent from the off. Deauville set the pace followed closely by Lancaster Bomber. Ryan Moore shadowed the pair aboard race favourite Rhododendron, whilst Oisin Murphy was keen to keep tabs on Team Ballydoyle, positioning Lightning Spear alongside the filly. Moore made his move approaching the two-furlong pole, driving the favourite to the front down the centre of the track, whilst Murphy, possibly travelling slightly the better at that stage, came stand-side to make his challenge. At the furlong mark Rhododendron was half-a-length to the good, but that advantage was whittled away approaching the post. The filly clung on for victory, much to the frustration of Lightning Spear’s connections, who saw their horse clearly ahead just yards past the line. Lancaster Bomber was outpaced by the front pair, though stayed on well for third, whilst Dutch Connection ran a belter, but ultimately failed to see out the one mile trip back in fourth. David Simcock looked gutted after losing out in the head-bobber yet composed himself and spoke to ITV Racing straight after the race: “I’ve not had the wind taken out of my sails like that for a while. I’m just a little gutted, but very proud of the horse. He was given a great ride - I thought he was going to win nearing the line. Oisin Murphy has given him a fantastic ride. It is just so frustrating. Of those further back in the field, Addeybb clearly found the ground too lively, fading out of contention in the latter stages. Limato again looked a non-stayer at a mile and will surely drop back in trip with a crack at the Diamond Jubilee at Royal Ascot likely. Ryan Moore was winning his first Lockinge, with O’Brien landing the event for the first time since Hawk Wing in 2003. 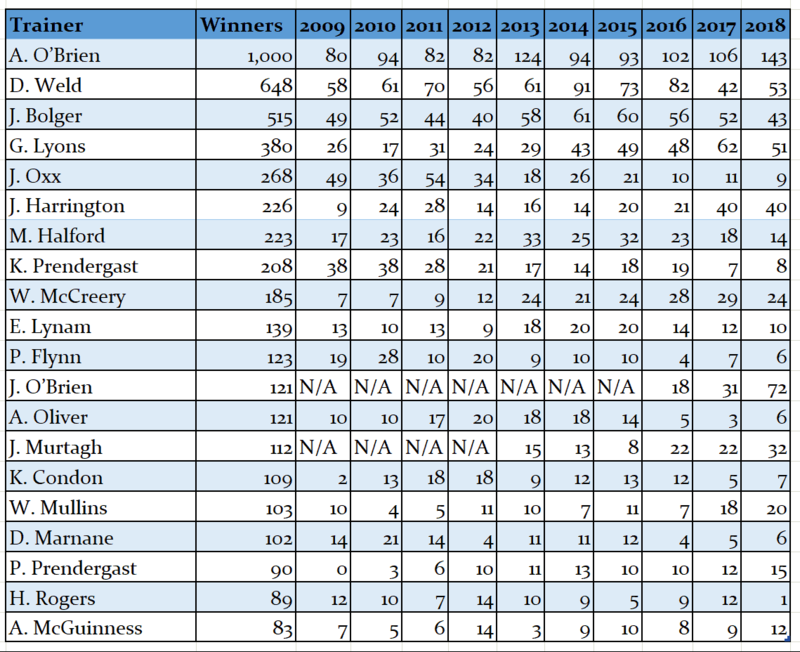 Rhododendron’s victory continued the strong trend of success for four-year-olds in the race, with 10 of the last 12 renewals now won by that age group. It is of course yet another Group One for O’Brien and his team, as he sets out on another campaign of top-level dominance. The Group One Lockinge Stakes takes place at Newbury on Saturday, with Aidan O’Brien targeting a first success since 2003. Excelebration was one of Ballydoyle’s classier contenders when runner-up in 2012, though had little chance of winning with Frankel in opposition. Hawk Wing landed the prize for the yard in 2003 by 11-lengths, having been kept in training following something of a ‘nearly’ season as a three-year-old. Runner-up in both the 2000 Guineas and the Epsom Derby, the classy colt did manage to win the Eclipse at Sandown. Sadly, after his Newbury romp, he suffered a career-ending knee injury at Royal Ascot. It’s fair to say that this is a race the Ballydoyle boys have tended to ignore. It’s usually a case that O’Brien’s most talented milers are sent to stud following successful campaigns at three. Last year’s Guineas winning pair of Churchill and Winter have followed that path, leaving Rhododendron as their leading Lockinge contender and current favourite for the race. Her three-year-old campaign pretty much mirrored that of Hawk Wing back in the day. Runner-up in both the Guineas and the Oaks, she had a spell on the side-lines before a win in the Prix de l’Opera at a mile-and-a-quarter. Her return at Longchamp last month, when fourth to Cracksman, was satisfactory. She’s likely to improve for the run, though there must be a question as to whether this one-mile trip will suit. She’s looked a filly that needs slightly further, though this does look a sub-standard renewal. Limato is next-best in the betting, though the trip for him appears a touch beyond his best. He was fourth in this race back in 2016, when looking a little one-paced late on. He similarly faltered in the latter stages of last year’s Lennox Stakes at Goodwood. Quick ground at Newbury will certainly help his cause and he’s likely to be travelling better than anything deep into the race. Harry Bentley has the task of whether to kick clear and hold on or wait to the last moment in the hope that the six-year-old has enough in the tank. I’d be taking the first option and using that devastating change of gear to put distance between myself and the rest. William Haggas has his team in sparkling form and is represented by the fast improving Addeybb. The four-year-old landed the Group Two bet365 Mile last month, though this will clearly be a tougher task. 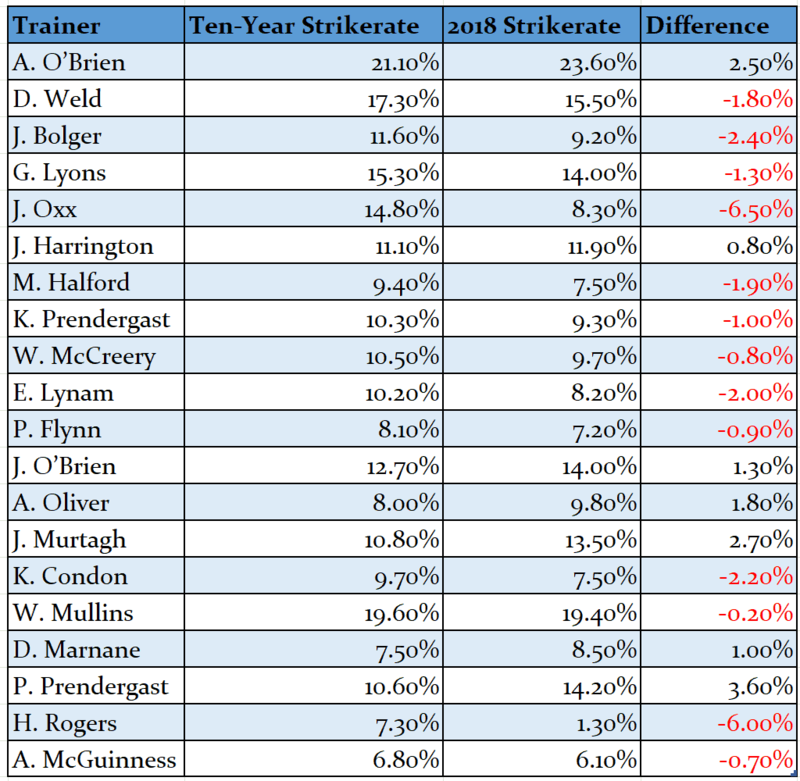 Those aged four have won eight of the last 10 renewals, though the race does tend to go to proven Group One performers. He lacks that high-level experience and I’d be slightly concerned over ground conditions. He’s been impressive on soft and good-to-soft thus far, and he’ll need to prove that he has the tactical speed for this race on fast ground. Like Addeybb, the Andrew Balding-trained Beat The Bank looks a progressive four-year-old, though he did disappoint on his final outing last year, when stepped into Group One company for the QEII at Ascot. This son of Paco Boy had flopped at Ascot earlier in the campaign, so I’m inclined to forgive him those two shockers. His strongest performance came in the Group Two Joel Stakes at Newmarket, when he slaughtered a decent field by five lengths. He has something to prove at this level, though there’s surely more to come. Like Limato, Suedois is something of a sprinter turned miler, though he has proven himself capable of seeing out the trip at a high level. He’s consistent and is likely to be in the mix especially on this quicker ground. No seven-year-old has won the race and he’s certainly vulnerable to an improving youngster. Nevertheless, 20/1 is a fair price for a horse suited by track and conditions and possessing such an amount of experience at this level. Lightning Spear was runner-up 12 months ago, and is another that could outrun his odds. In a weak looking renewal, he has a big performance in the locker, though last season proved rather inconsistent. Another seven-year-old, he’s unlikely to be winning, but is another at a price, capable of hitting the frame. One that should run well, if lining up, is O’Brien’s four-year-old colt Lancaster Bomber. Fourth in last year’s Guineas and runner-up in the St James’s Palace, he’s a class act on fast ground. Ryan Moore will be aboard the filly, but this fella should not be discounted if given the green light. This is a tough race to call, with no outstanding miler apparent. I’m a huge fan of Rhododendron but I’m far from convinced that this is her trip. If he runs, I’ll be siding with Lancaster Bomber in the hope that ground and trip will suit him better than his stable companion. Though he’s too old to win, Lightning Spear can run into a place. Best of luck to those taking a punt in this tricky renewal. Saxon Warrior put in a mighty performance to give Aidan O’Brien his ninth 2000 Guineas. Ridden by son Donnacha, the imposing colt travelled powerfully in midfield, with the pace set by stable companion Murillo. Fully two-furlongs out, the young jockey sent Saxon Warrior to the front. Showing a terrific burst of speed, this son of Deep Impact put clear daylight between himself and his nearest pursuer, race favourite, Masar. The huge outsider, Tip Two Win, also took up the chase, though none looked likely to catch O’Brien’s charge. He powered through the line a length-and-a-half to the good, with Tip Two Win a 50/1 runner-up. Masar was a close third, with Elarqam staying on for fourth. A very composed winning jockey told ITV Racing: “A huge thanks to all the owners for giving me the chance to ride him and especially to dad for the faith in putting me on him in the first place. It's very special. Obviously, I'm winning this race and riding in big races because of the position I'm in. I'm just very grateful. He's a very good horse, he's a proper horse. “He travelled beautiful and I thought we were the winner the whole way. I probably got a bit excited at the two pole, when I gave him a squeeze a bit early. He's an absolute monster of a horse so you never know, he could improve again. I was very impressed, I thought he was a very good horse even on his homework, we've made no secret of it, and I think he's very, very good. Mark Johnston felt that a lack of experience went against Elarqam. “Fourth is not bad in the Guineas,” he said. “You come here wanting to win, so it is a little bit of a downer. I’ve said all along that I was concerned that he was such an inexperienced horse. He beat the second horse three lengths last time out – and that one has had three or four runs since, while we just had a racecourse gallop. He dwelt for a bit and that’s not the mark of a true miler. That may just be inexperience, but at the same time the first impression is he’ll go further. Roaring Lion bounced back to form, finishing a close fifth, whilst Gustav Klimt was never able to land a telling blow in sixth. After his impressive victory, Saxon Warrior has been installed as even-money favourite for the Epsom Derby, with Masar as short as 10s. His move up to middle-distance, coupled with Gustav Klimt’s less than impressive performance leaves something of a void in the Ballydoyle one-mile division. At Longchamp next Sunday, US Navy Flag will look to plug the gap, when running in the French 2000 Guineas, before heading to Royal Ascot for the St James’s Palace Stakes. The Gurkha trod a similar path in 2016. He’s currently a 12/1 shot for the Paris event and 14s for the date at Royal Ascot. With a pair of aces at his disposal, it appears that Aidan O’Brien has a great chance of landing his ninth 2000 Guineas. With three victories from the last six, including two from the last three, the Co Tipperary handler has last year’s Superlative Stakes winner, Gustav Klimt, and the Racing Post Trophy hero, Saxon Warrior. GK won that Superlative by a head having incurred trouble in running. The Charlie Hills-trained Nebo was runner-up, and he’s proved himself to be a solid yardstick. Great Prospector was half-a-length further back, and I think it’s fair to say that Klimt defeated a bunch of sprinters that day (he’s by Galileo, out a six-furlong dam). That shows just how quick he is, though possibly also shows that his opponents on that occasion were not running at their optimum trip (seven furlongs). In a slowly run race, this fella certainly has the ‘zip’, but the 2000 Guineas isn’t a race for sprinters and I’d be concerned that he may be outstayed by a ‘proper’ miler. Saxon Warrior, on the other hand, looks a strong traveller who will be doing his best work at the end of the race. He’s more stoutly bred than Gustav, being by Deep Impact out the Galileo mare, Maybe. She was third in the 1000 Guineas and fifth in the Oaks, so Saxon Warrior ought to stay further than the mile. Of course, pedigree on paper doesn’t always materialize on the track, but the Group One Racing Post success, suggested that this fella will be ideally suited by the Guineas. Roaring Lion swept passed him a furlong from home that day, but he battled back and appeared to be well in control at the line. The pair had pulled clear of the remainder, and the form looks rock solid. He comes here without a prep-run, similarly to the last two O’Brien winners, Churchill and Gleneagles. Masar and Elarqam head the British challenge, with the latter possessing the most exciting pedigree in this year’s renewal. Trained by Mark Johnston, he’s by the mighty Frankel out of 1000 Guineas winner Attraction. If breeding guaranteed the major prizes, this fella could be crowned the Guineas winner before the stalls opened. He won both his juvenile starts, the latter success coming at Newmarket, when stretching clear late on over the seven-furlong trip. He looked a long striding leggy juvenile, and that he was able to win so well is probably testament to his class. His lack of experience is a slight concern, though Camelot and Makfi were recent winners off the back of just two runs. He certainly looks a leading contender. Masar blasted his way into the Guineas picture with a stunning success in the Craven Stakes. He’s by the Guineas runner-up and Epsom Derby winner New Approach, out of a Cape Cross mare. His pedigree suggests he’ll get further in time, though his Craven performance showed he should be effective at a mile. The pace that day was modest, before Buick asked his mount for maximum effort. He galloped powerfully throughout the final two-furlongs for a nine-length success. Roaring Lion was a disappointment back in third, though lacked match fitness. He’s unlikely to get the easy lead that he enjoyed last time, though that may not stop him from putting in a huge performance. The top four in the betting are a little clear of both Expert Eye and Roaring Lion. The latter must reverse a thumping by Masar and a narrow defeat to Saxon Warrior. I’d be surprised if he can do either. The former looked a thrilling prospect when winning the Vintage Stakes last August, though has disappointed twice since. He flopped in the Dewhurst, when far too keen throughout. And a couple of weeks back could only finish second to James Garfield in the Greenham. He should improve for the run, but I’m struggling to see why he’ll win. 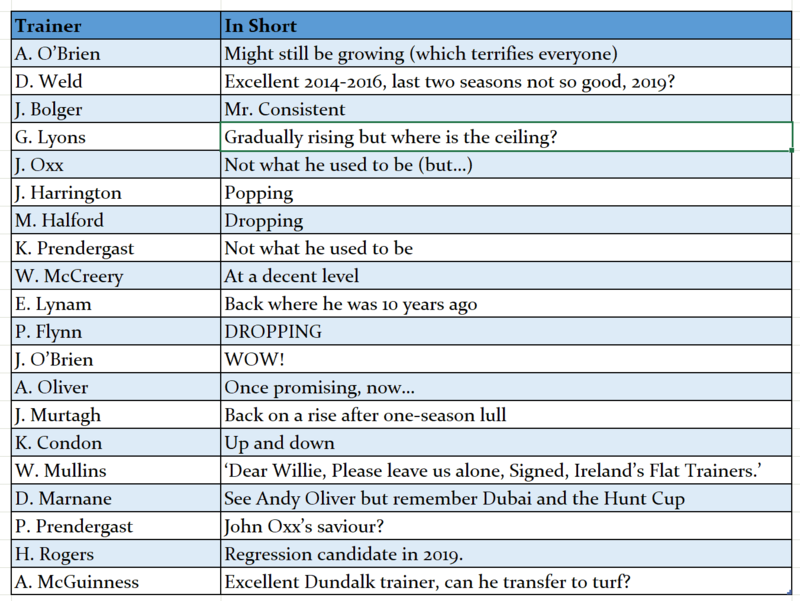 He may actually improve by being dropped back in trip, and I can see him becoming a six-furlong specialist in time. Of those at a bigger price, I’d give a mention to David Simcock’s Raid. He was having only his second career start when finishing an eye-catching fourth in the Greenham last time. He should improve plenty for that, and I’d fancy that he’ll prove best of those that ran at Newbury that day. Whether he can sneak into a place is questionable, though his current odds of 50s make him a tempting proposition. This race often yields treats to the each-way punter. One I’d likely to mention, that isn’t here, is the O’Brien trained US Navy Flag. He may yet prove to be the stables leading miler, though dodges this in favour of the French Guineas. Good or quicker ground is essential for this fella and I fancy he’ll prove to be top class. I’ve found it quite difficult to choose between Saxon Warrior and Elarqam, but am finally swayed by the O’Brien factor. I’ll take the Racing Post winner to land this year’s opening Classic and then head for a crack at the Epsom Derby. Despite thinking he’s probably not quite good enough, I’ll be having a little each-way on Raid. He may just sneak into the places. Best of luck to all those having a punt.